The woman accused of taking her infant son along during an alleged marijuana smuggling attempt last Friday has been identified as Ashley Rene Resendez. Federal authorities have charged Resendez and Carlie Michelle Resendiz with knowingly and intentionally possessing with the intent to distribute a little more than 275 pounds of marijuana and conspiracy to do the same. 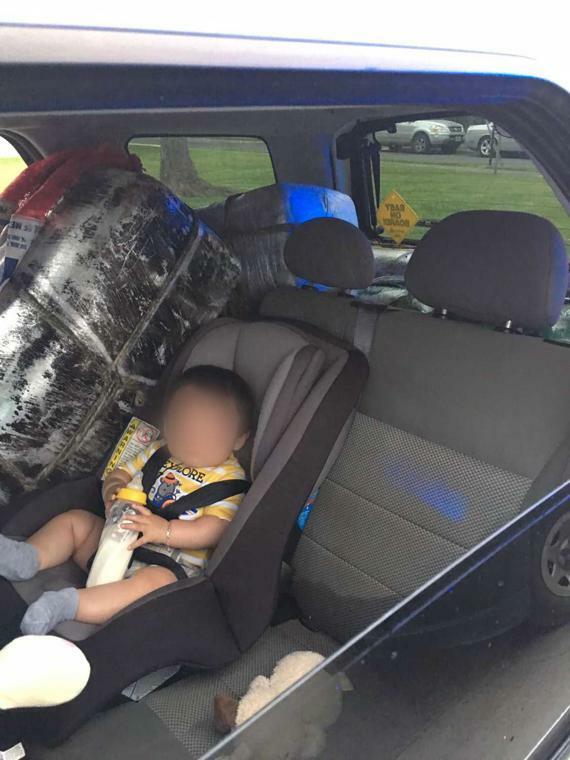 Border Patrol issued a news release last Friday publicizing a photo of the infant, who held a bottle, strapped into a car seat next to a large bundle of marijuana. A Border Patrol spokesperson confirmed the child was turned over to a family member after his mother was arrested after a traffic stop. The charging document does not indicate whether both suspects are related. According to the criminal complaint, a concerned citizen called Border Patrol at approximately 7 a.m. last Friday to report seeing a white Ford Escape enter the River Bend Golf Course and travel to the end of Mississippi Boulevard, where it was loaded with bundles. A Border Patrol agent conducted a traffic stop on the vehicle, which was driven by Ashley Rene Resendez, approximately 15 minutes later and arrested the pair after finding five bundles of marijuana in the vehicle. Both suspects made a first appearance in federal court Monday and are being held without bond pending a probable cause and detention hearing scheduled for Thursday afternoon.